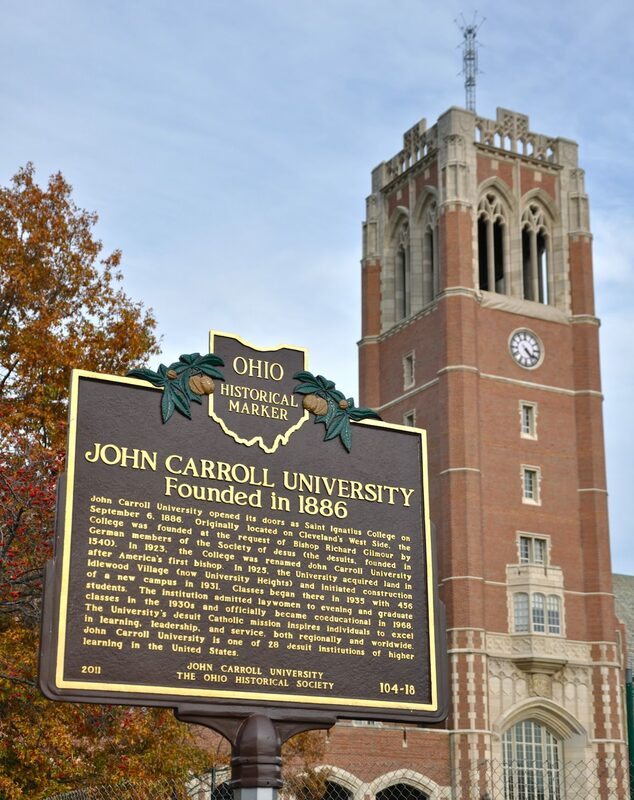 John Carroll University was honored to be selected by the Ohio Historical Society to receive a historical marker in recognition of our 125th anniversary year. The marker was unveiled in a ceremony at Grasselli Library on October 28. 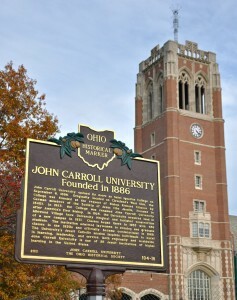 The marker is located along the walkway outside the main library doors in a highly visible area along the main campus tour route. It is also in close proximity to the historic and iconic symbol of the University, the Administrative Building and Grasselli Tower.